Hello again. The workshop night has been and gone, but for those of you who missed out we have a copy of the Guided Tour for you. Also in this newsletter is an unusual special and more cars for sale than we have ever had before! The open night was a great success with over 50 people attending. We sent all of them off on a "Self Guided Tour" of the new facilities. They were all given a written tour guide to follow. A copy of which appears below for those of you who could not attend. This tour was a great success with many Club members ringing me the next day with favourable comments. After the tour we had a demonstration of the Carsoft diagnostic system. - Enter front door, immediately on the right is the staff lunch room. On the left is our parts and service counter. Here during business hours you will be served by either Les Ingram or Bob Edwards. Between the two of them they have over 50 years experience in the automotive industry. 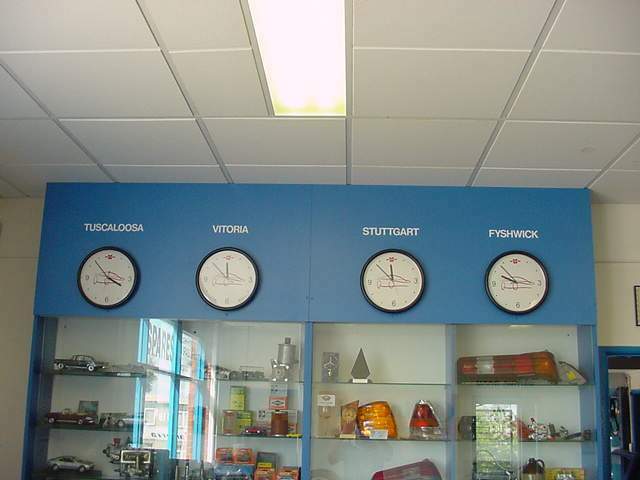 - The clocks on the wall represent the different time zones from various Mercedes-Benz plants. Tuscaloosa is the home of MBUSA where the ML class is made. Vitoria is in Spain and is the home of the Vito. The other two are self explanatory. We have a fifth clock that has not been mounted for East London in South Africa where the new W203 C class is made. - Enter the main office (the seat of power!). In the cabinet are some of my collection of models and a few trophies. Best so far is the outright win in the Rally deBoardeaux rally and a second outright at the ACT club concours in 1992. It has been suggested that a good club night would be a model night and we have offered our premises to run it. - If you are interested in models there are some more under the front Counter. 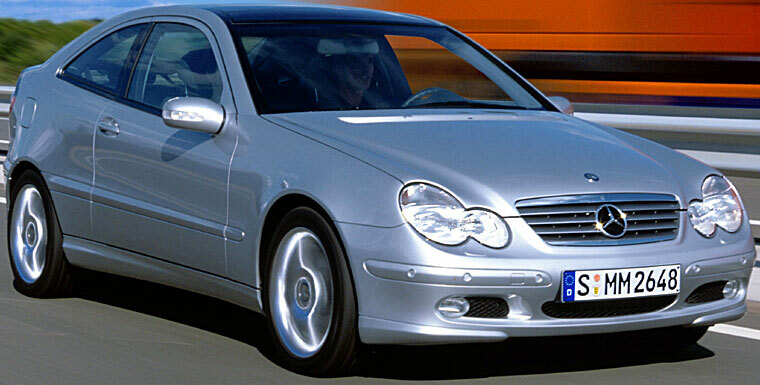 - Also on display is part of my collection of sales brochures and other Mercedes-Benz information. The Mercedes-Benz sales features book makes for interesting reading. It is a booklet for salesmen in the early 70’s telling them the sales points of the W114 and W115 range as compared to the list of “other cars” on the front cover. Please treat these with respect. - On the table is a selection of classic car parts that we have imported from Germany. Every two weeks we get a shipment of rare and obsolete parts. Whatever you need we can get faster and cheaper than the local MB dealer. - Exit to the parts room. On the left is a counter with our new “ignition lead tool”. As most MB ignition leads only come in sets it has been a problem when somebody wants one lead. We now have the ability to make individual leads. We can even make the correct period leads for Roundies and finnies. - Stop and have a chat to Bob our Spares Manager. Tell him what model your car is and ask him to look up a part for it on our new Electronic Parts Catalogue. - Exit to the dispatch bay. From here we send parts all over the world. Every day at 4.30pm the Ipec truck calls in to pick up the days orders. On the right is the Transmission room. In here we overhaul transmission and steering boxes. - Enter our NEW dismantling facility. The cars are stacked on the racks by fork lift. There are some interesting cars in here including a rare 300SEb sedan (alloy engine but with steel springs), a super rusty 450SLC and a 220SE coupe. 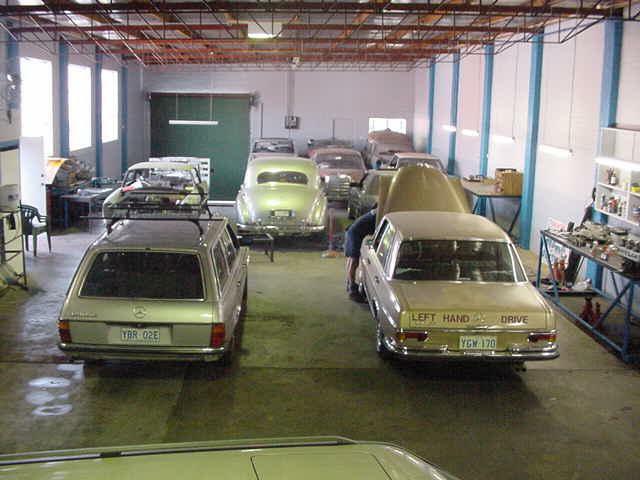 We dismantle over 50 cars a year, they and stripped of there useful parts and the shells sent to the metal recyclers. Up stairs is the new mezzanine floor this is an unfinished project. Please walk to the top of the stairs but don’t proceed any further. The staircase is designed so that two guys can carry large panels up there without problems. - Walk to the back wall and turn left to the tyre bay. Here we fit and balance our own tyres. - Enter the new workshop and walk anti clockwise around it. - As you enter on the right is a blue pipe coming down from the roof. All the air lines in the new workshop are done in PVC pipe that is fusion welded! - Straight ahead is our trusty old four post hoist. Every Mercedes-Benz workshop MUST have one of these as you cannot lift the earlier Finnies and W108/109 series cars on a two post hoist without damaging the front subframe mounts and running the risk of the engine falling on the floor! 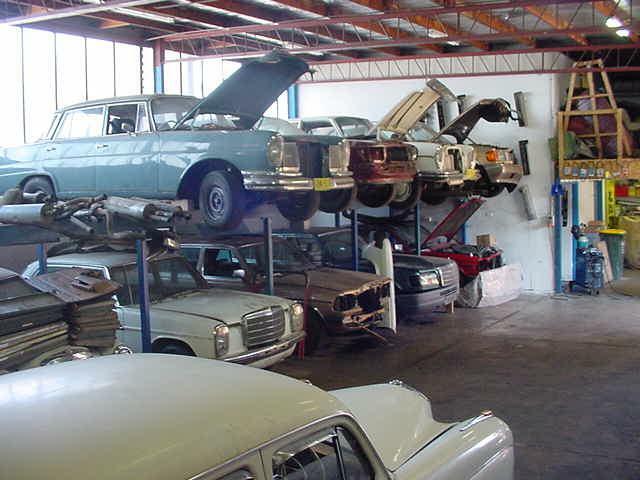 The car on the hoist is a 1967 250SE coupe that we are going to restore for a client from Melbourne. - The rack of engines on the back wall is a selection of good running engines pulled from dismantled cars. - Next is the Kroll heater. It has not been installed yet but will be as soon as it cools down. It burns sump oil and heats the workshop. - The 240D on the hoist came in with a hole in the sump from the power steering pump rattling loose. It's all fixed and waiting to be checked for leaks tomorrow. - The 500SL is in for overheating. - Next is a 300E that we are fitting a rebuilt head to. - The next car is for sale. 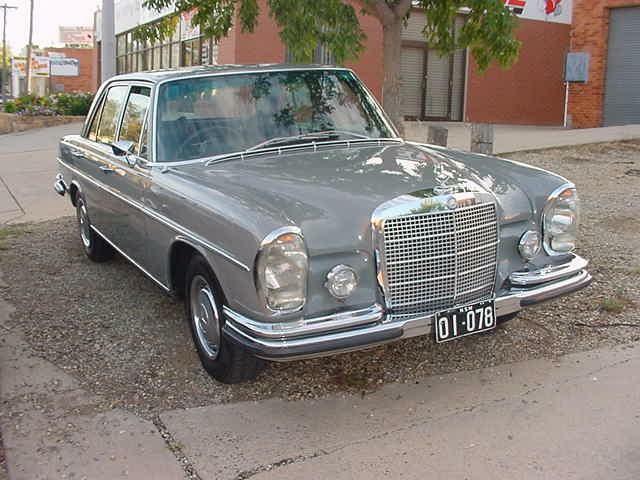 It is a 1972 280SE, one owner with only 106000mls and full history. Every service done by a MB dealer including a rebuilt diff and transmission. This truly is a rare find if you have always dreamed of owning a car like this. The interior has got to be seen to be believed. Absolutely no rust in the floorpans and sills. It has all its books and even has a copy of the original sales broacher! Contact me if you are interested in this car. - The red cabinets are stocked with all the nuts, bolts, clips, etc that we need to do a good job on your car. Wurth is a German company and supply Daimler Chrysler in Germany! - Next week the rest of our lathe comes back from being repaired. We can make/repair many parts on the lathe. - 220S Roundie coupe belonging to Warrington Cameron. The timber is off being refurbished. We are also doing a big list of other things to it. - 230 Ambulance, Maybe the only RHD one left in the world. Very sick and has been worked on by butchers. 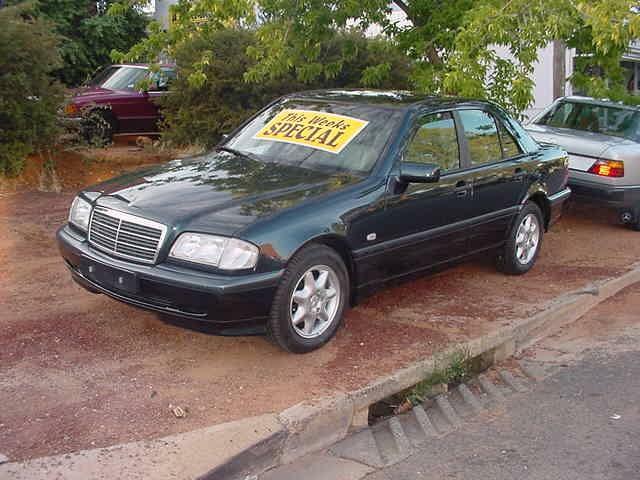 - AMG 300CE 3.4 – 24. Super rare car, worth nothing because it cannot be registered and is wanted by the Federal Office or Road Safety. - 230 Cabriolet b. 1938 model, also possibly the last RHD model in the world. There were very few RHD versions made in 38. Car is complete but needs a very serious rebuild. - 220a 1955. Used to belong to the ex president of the SA club. Now belongs to a client of ours from Singapore. 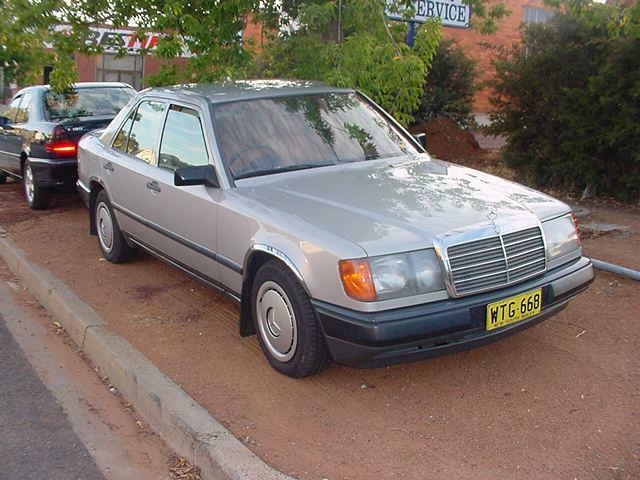 He also owns a very nice 300SEL 3.5 and a reasonable 300SE (Finnie) sedan which we have in storage for him. We are going to restore these three cars for him before they are sent to Singapore. - Finally, a factory W115 stretch. This used to have a 220D engine but has had the engine bay modified to fit a 280e engine in from a 1982 model. It is one of three LWB sedans that we own. 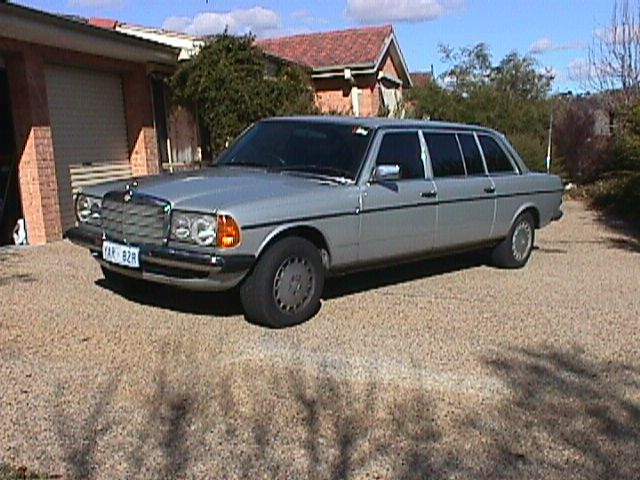 The other two are W123 250 LWB sedan. We will be starting to run these are hire cars for weddings, school formals, etc later in the year. - In the loading bay is a 319 van, these originally came with either a 1.9lt Petrol or a 1.9lt diesel engine. This one has a Holden red 6 cyl engine and a Toyota Celica five speed transmission! It is waiting to have the clutch replaced. 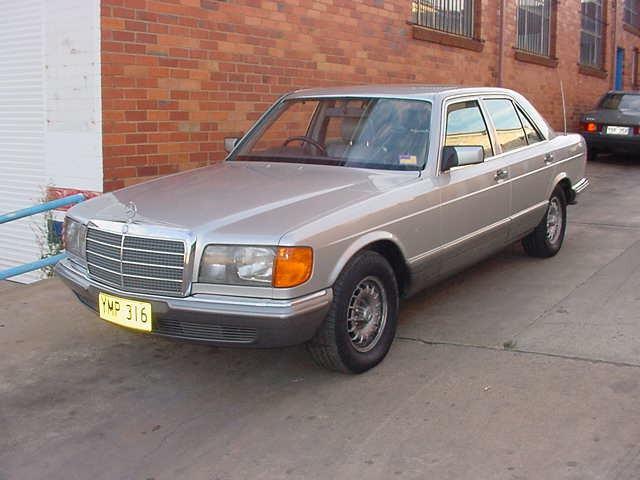 - Last two cars are a 250SE coupe that belongs to Robert Gill and a 280CE that is waiting for the owner to decide if she wants the engine rebuilt. - Exit out the side door and have another sausage or a drink!! - Hope you enjoyed it. We will have a question session after everybody has been around the tour. W108 66-71 (not ventilated version), W113 63-70, W115 68-73,W114 68-71. The story as to how we got them is interesting. One of the Australian ATE agents ordered VW brake shoes and received these calipers instead!! Anyway, new calipers are normally so expensive that nobody would bother buying them and would just recondition the old ones. Caliper overhaul kits sell for $31.00 and the pistons sell for $70.00 each (you need two per caliper). We will sell these calipers for $88.00 each. What a bargain! If you need pistons and seals for the the l/h side just buy two r/h ones and transfer the pistons and seals over!!! Last newsletter I said progress was slow! Well it is now officially at a snails pace! However, this is because I want it right before I unleash it on the public, so bear with us please. If you click here, you will get to see the test site for the new version of the website. There have been a few changes since last time you looked. However it is still looking like mid March for the full change over. Please do not try to buy anything or sign up on the subscriptions page. Don't worry, all the back issues of the newsletter and the other information articles will be copied across. Please feel free to offer what ever praise or criticism you like by e-mail to me. Getting Married soon? Here is a friend of mines site. He offers the ultimate in luxury hire cars. The 220SE cabriolet is as good in person as it looks in the photos. Or you could check out this site if you wanted to hire a CLK320 or a ML430, the really cool flash intro is worth the visit. Only one car for dismantling this time. 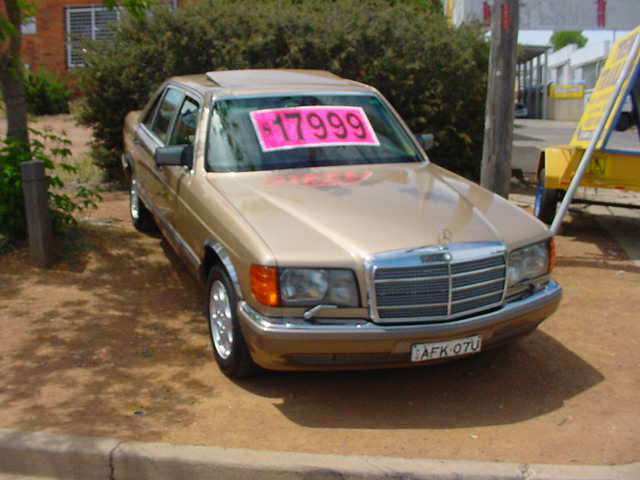 We had a W114 280CE come in about a month ago on a tow truck. It wouldn't start. Anyway to cut a long story short the diagnose was that the engine was worn out. The customer decided a reco engine was out of the question and as a result we now own the car. It has a great body and but needs an engine and some work on the interior. We will be dismantling the car but if anybody is interested in a project we could bundle this car and the hail damaged 280E sedan that was in the last newsletter to make a great backyard project for someone. Its been a big week on the car sales front. However, most of the cars were coming in not going out!! We have five new cars for sale. All of them are listed below. The 380SE is a real nice one. 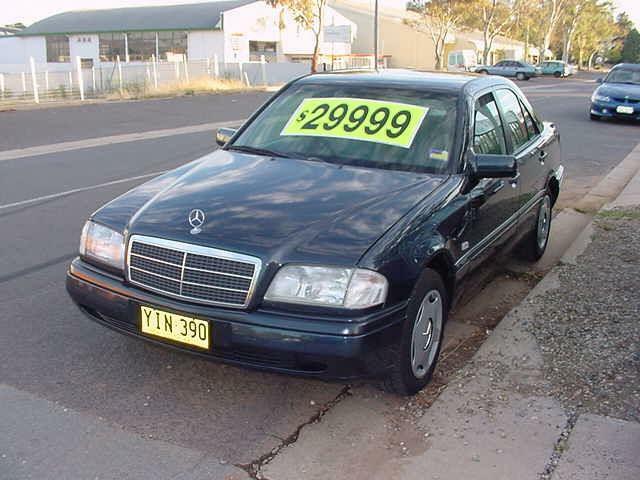 Most 380's we see these days have done heaps of kilometres, so it is refreshing to see a neat one for a change. During the last week we sold an immaculate 380SL to a customer who has been dreaming of owning one of these for years. As proof to the saying "Good things come to those who are wait" this guy got exactly what he wanted. He wanted a Silver 380SL with blue trim and a rear seat. Took six months but we found it! If you have a dream car let us know and we will try try to track it down for you. 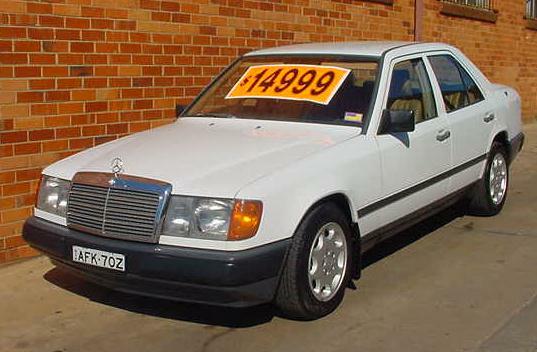 We may also have a rare 190E 2.6 coming in next week. For those of you not familiar with this model, it is the normal 190E body, but with a factory fitted 2.6lt six cylinder engine! Stay tuned. 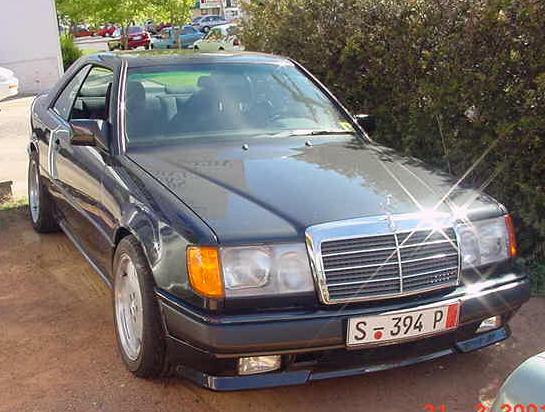 E280 Limited Edition Sedan 1995 model.